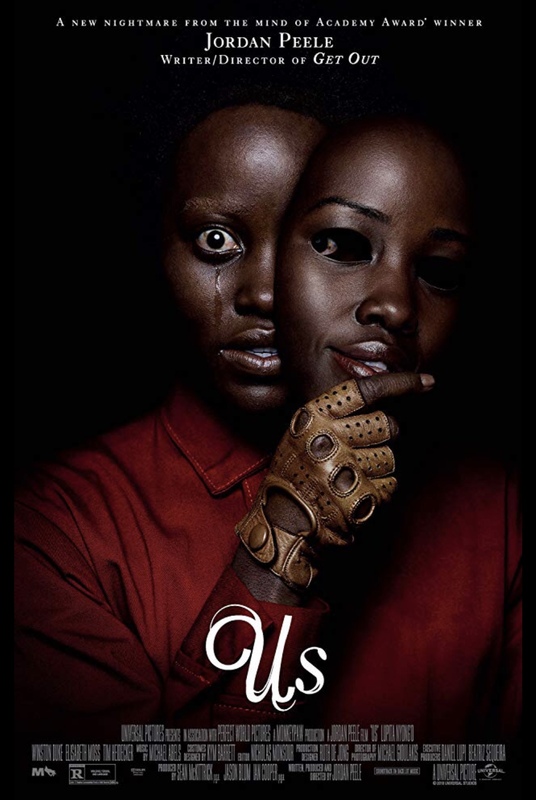 In the wake of his wildly popular, 2018 thriller Get Out, writer/director Jordan Peele’s sophomore effort is a horror/thriller about a family of four headed to their beach house for a vacation. It just so happens that the nearby beach is also where the mother (Lupita Nyong’o) was mysteriously traumatized as a young girl. Later that night, a terrifying foursome appears at their home – a foursome that looks exactly like them. Peele delivers an ample supply of scares, intensity, and disturbing moments, a creepy mood and a veritable kitchen sink of symbolism (bunnies, twins and bad sandals, oh my!) that will intrigue those wanting to extrapolate that the film represents the current self-destructive divisiveness present in America. And the acting – in particular Nyong’o and Shahadi Wright Joseph as her daughter – is well done. Unfortunately, Peele’s tediously long story veers off the rails and into the nonsensical more often than it should, making it more of a head scratcher than a true horror/thriller. • The first two episodes of Peele’s new version of The Twilight Zone will premiere on CBS All Access, the network’s online streaming service, on April 1st. • Lupita Nyong’o and Winston Duke, who both worked together in Black Panther, were classmates at the Yale School of Drama.